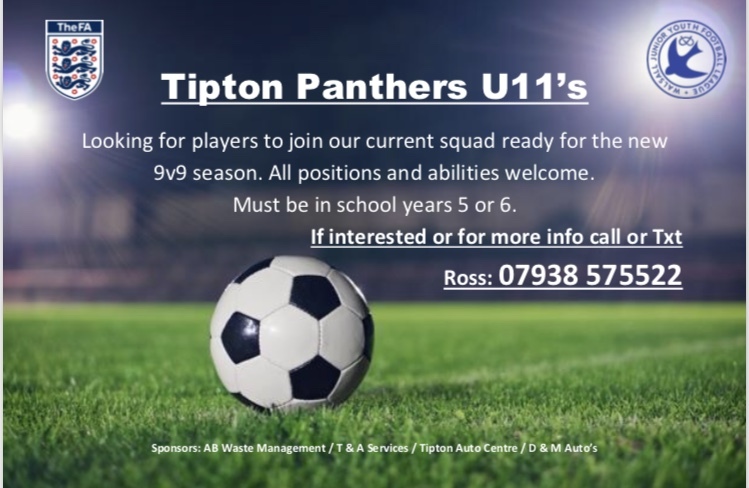 Cannock Town Colts U11 are seeking players to join their team. We train on 3 G on a Wednesday and play in the Walsall Junior League . Both coaches qualified and registered . So lads year 6 and 5 are acceptable. Please contact Pete 07729963087.